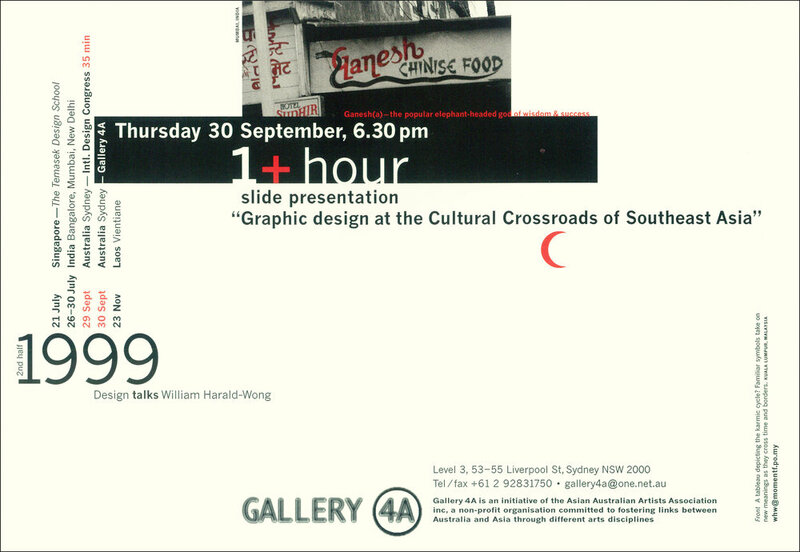 I was a speaker at the Sydney Design 99 International Congress and I designed this set of three postcards to be given away at the Congress to promote my talk at a small art gallery on the following day. The image was a photograph I had taken some years back—a sticker on the windscreen of a parked car in Penang. The car owner pasted a sticker of Guanyin (a bodhisattva, also known as the Goddess of Mercy) in the dead centre of a Shell petrol sticker. I shot this image in a Hindu temple at Batu Caves, Kuala Lumpur. The image was used for the poster promoting my lecture tour in India. The image on the back of the postcard was shot in Mumbai, India. This restaurant’s signboard had two auspicious symbols; Ganesh, the Lord of Good Fortune and Remover of Obstacles who provides prosperity, fortune and success, and the Naga (sanskrit for ‘serpent’), a symbol of life-giving waters and fertility. I observed there were many push-carts selling ‘Chinese food’ and was informed by my host that noodles were popular among the poorer class because it was affordable. This image was shot in Kuala Kubu Baru (KKB), juxtaposing a traditional Chinese altar with a painting on the wall of a building. 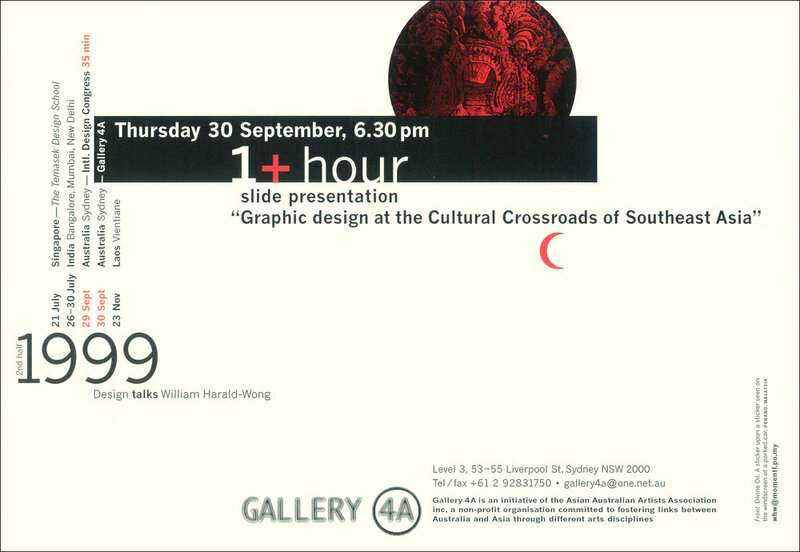 I had taken many photographs of Southeast Asia in the mid-90s and sometimes compile a set of related images and print posters for my lecture tours. I spent hours poring over colour slides searching for similarities and uniqueness among the diverse cultures of the region. Shooting on film requires a disciplined, considered approach—I believe one becomes more mindful of things unfolding before you.